Heat oven to 400°F. 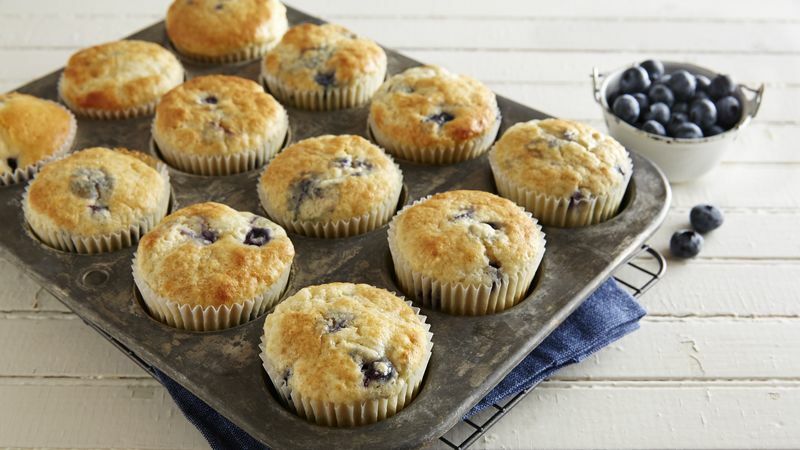 Place paper baking cup in each of 12 regular-size muffin cups, or grease bottoms only of muffin cups. Stir all ingredients except blueberries just until moistened. Gently stir in blueberries. Divide batter evenly among cups. Bake 13 to 18 minutes or until golden brown. Mix just until dry ingredients are moistened. Overmixing causes tunnels and a tougher texture in the muffins.